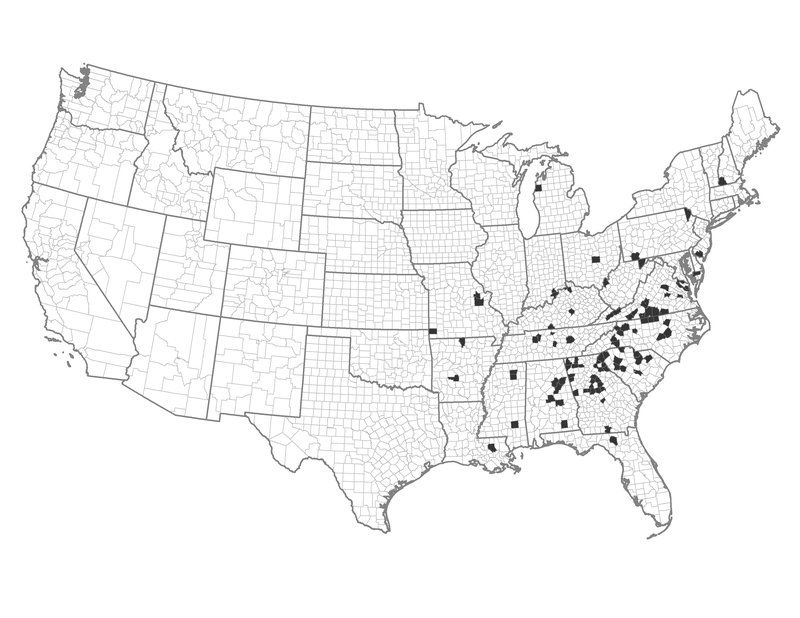 These southeastern areas experience a higher amount of demographic stress due to the rural nature of the “bedroom communities” in the Wildland Urban Interface (WUI) area. There are many people in the WUI and greater number of ignitions due to the higher population. There is a forest product industry in these areas and a capacity for prescribed fire. Example of a Typical County — Jones County, Mississippi: Jones County has numerous towns and includes part of the De Soto National Forest. It has a growing problem with invasive, flammable cogongrass.